This came out a month after Halo 4's launch. 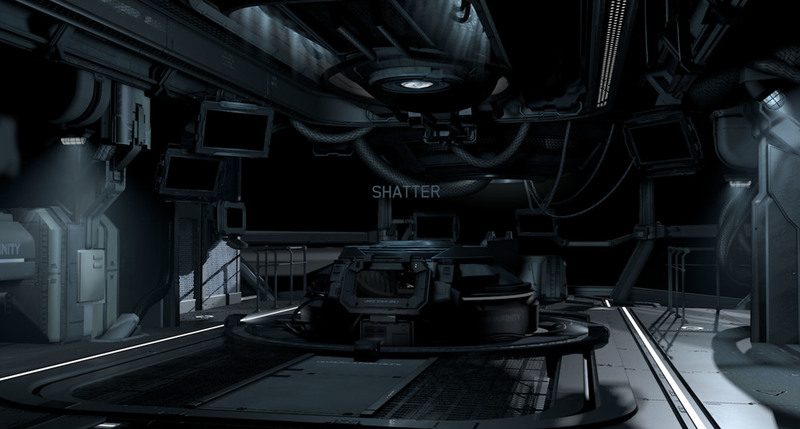 The Infinity Deck from the Halo 4: E3 trailer was refreshed and used for all the post-Halo 4 launch DLC graphics. I created all the graphics before moving off the team and devised an editable Hologram system using Plexus and After Effects expressions to change the map names on the fly. The entire Infinity Deck and its camera movements were rendered out. The 3D reference points for the monitors and lights were all composited later. This way if the map name or edit had to change it wouldn't take a full re-render of the Infinity Deck. 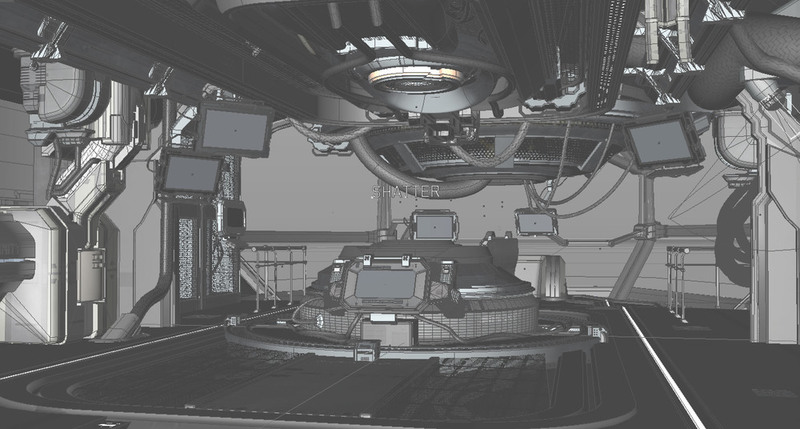 Below I included what some of the deck looks like within Cinema 4D, pre-compositing.